If anyone can wobble into verbose, irrelevant, wayward, noun-strewn-as-adjective criticism, it's a wine writer. I know. It's my profession. With this book and the style of wines reviewed in its pages, I'm putting my foot down. Slamming my fist on the table and giving you the stuff that matters. The dirt. The goods. The short, sweet, critical information on what the wine tastes like so you can get on with drinking. I sample, you sip. Deal? 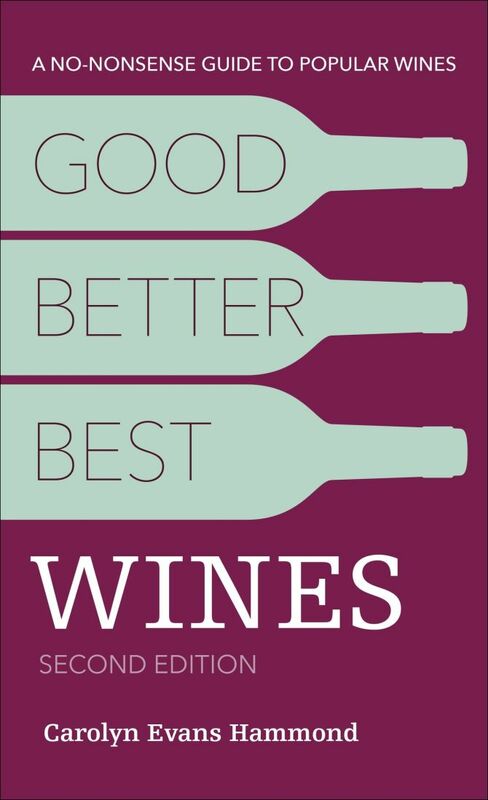 Wines are then assessed as "Good, Better, Best" by varietal, with tips on food pairing, and ideal serving temperatures (see below). This book is for regular Americans, those who want a nice bottle to pair with pizza, burgers and fries or tacos during the work week, without having the need to break the bank at their local liquor store. And it's made for them to carry with its handy pocket sized format. Perhaps the Toronto Star wine columnist will pen a Canadian version for those of us north of the 49th parallel? I know the price points are different here, and the market smaller, but perhaps the choices for Canadians will be more diverse? I bet that Canadians in general are more international in their tastes --while Americans tend to buy wines from the US. My better half, advertising and brand expert extraordinaire, suggested that DK promote the book through stores where wine in purchased, be it liquor stores in the United States, or the varieties of outlets we have in Canada. 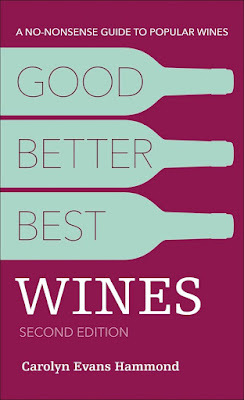 Retailing at $12.99 in the USA ($16.99 in Canada), Good, Better, Best Wines is an easy and accessible read for regular people, devoid of jargon, that delivers the goods.